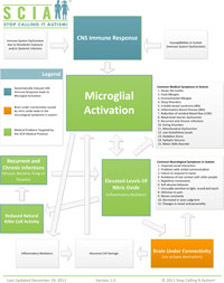 The main target of the SCIA Medical Treatment Protocol is the microglia. By inhibiting microglial activation, the neurodestructive effects of chronic inflammation could be reduced and allow for neuronal reconnection. Neuronal reconnection could allow for an improved response to early behavioral and learning intervention measures to be more effective, and ultimately enhance developmental outcomes. Many studies suggest that there are pharmaceutical treatments as the ones used in the SCIA Medical Treatment Protocol can reduce microglial activation and ultimately help to mitigate symptoms in autism. Note: The SCIA Medical Treatment Protocol is intended to be followed under the medical supervision. Please read the Terms And Conditions of this website carefully before you proceed to download the SCIA Medical Treatment Protocol document and start the protocol. 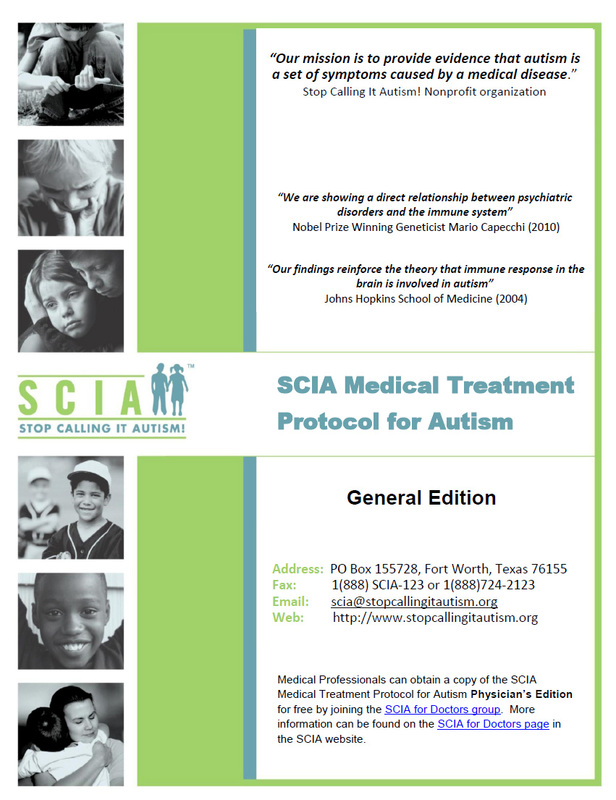 To learn more about the SCIA Medical Treatment Protocol download a copy of the protocol by clicking the figure below or by clicking here. To find a doctor that can help you with the SCIA Medical Treatment Protocol click here. 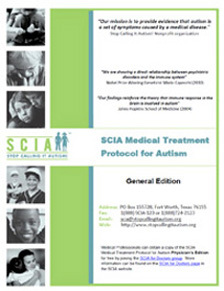 The SCIA treatment protocol is a new way of treating autism by inhibiting microglial activation.